Summary – The 1960s was the era of the Beatles, the mini skirt, the Congo, Christine Keeler, the vernacular Mass and the proposal to demolish Athlone Castle. At the start of the decade, leaders like John F. Kennedy, Pope John XXIII and the then Taoiseach Sean Lemass offered society a fresh style, new hope and ideas which from 31 December 1961 were transmitted into Irish homes by RTE. Some conservative forces struggled to come to terms with these new concepts.Towards the end of the decade, the mood darkened with start of the long Northern agony, disappointment with Harold Wilson’s Labour government in Britain, Pope Paul VI’s Humanae vitae encyclical and the acceleration of the Vietnam War. This lecture will focus on the impact of the changing 1960s culture on Athlone and the local responses to it, as viewed through the pages of the Westmeath Independent and the excellent photographic archive of Athlone Library. Speaker – Dr Harman Murtagh is a native of Athlone. He joined The Old Athlone Society on its foundation, later serving as president. He is currently president of the Military History Society of Ireland and a vice-president of the Group for the Study of Irish Historic Settlement. He is a visiting fellow at Athlone Institute of Technology. He is the author of numerous publications including the definitive Athlone History and Settlement to 1800. The N.W. English Memorial Lecture – This memorial lecture is held every year to commemorate Norman William (Billy) English, a founder member and honorary secretary of The Old Athlone Society since its inception in 1965, until his sudden death at the age of 56 in February 1978. Billy was an auctioneer in Athlone. While not a professional historian and antiquarian, his endeavours for many years were connected with the history and development of Athlone and its hinterland. He demonstrated that he had a true historian’s instinct with which he developed a deep knowledge of, and affection for, his native region. 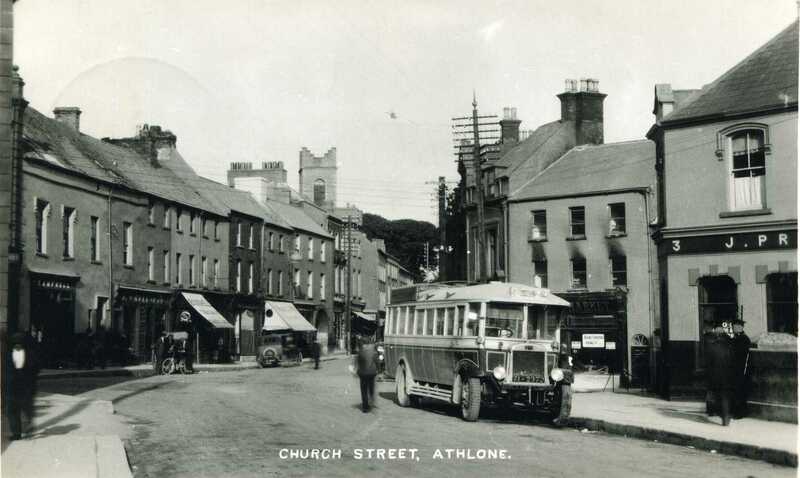 To The Athlone Society, he left a legacy of a thriving historical society, a museum that later became The Athlone Castle Museum and a journal often used for reference by historians. Highly regarded as a lecturer, he was in constant demand by historical societies in all parts of the country. Billy frequently contributed articles to many historical journals including: Journal of the Royal Society of Antiquaries in Ireland; The Irish Sword; and Journal of The Old Athlone Society. Living as he did near Goldsmith country and Lough Ree meant that he was an authority on Oliver Goldsmith, the inland waterways of Ireland and being a keen sailor wrote: Lough Ree Yacht Club 1770-1970 a memoir, to mark the bicentenary of the club. The Old Athlone Society each year holds a lecture in his memory. It is therefore fitting, on the occasion of the society’s fiftieth anniversary, that the memorial lecture is being held for the first time in Wineport Lodge. This highly-regarded restaurant and hotel sits in a beautiful location on the shores of Lough Ree and is owned by Billy’s daughter, Jane, and her husband, Ray Byrne. The Society will be honoured by the presence of some members of the English family: Billy’s Widow Dorothy; sons, Richard, Robert, David; daughters, Jane, Sarah; many grandchildren; his brother Cecil; and Dorothy’s husband, Robin Baird.